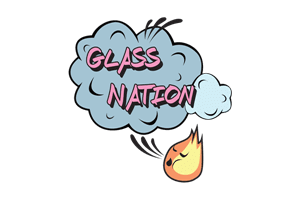 Glass Nation has the largest online selection of wholesale pipes and wholesale bongs, wholesale vaporizers, wholesale smoking accessories, wholesale functional glass art, wholesale quartz bangers, wholesale silicone bongs, and wholesale silicone pipes. Everything you need to keep your smoke shop business stocked to the brim with the industry’s most up to date and cutting edge products. Choose from hundreds of concentrate vaporizers, herbal vaporizers, and vaporizer batteries. What’s more, we have loads of smoking accessories to select from, including some of the industry’s newest most innovative products. Glass Nation is able to give you access to tons of high quality wholesale functional glass art digitally from anywhere in the world. Additionally we have the most comprehensive selection of wholesale silicone bongs and wholesale silicone pipes as well. Glass Nation features some of the smoking industry’s leading vaporizers wholesale brands. Choose from vaporizer brands like Kandy Pens, Grenco Science, Puffco, Storz and Bickel. We have many world renowned brands of wholesale vaporizer products. Don’t setting for anything less than the best. Your customers demand greatness and we are here to help you deliver on your organization’s mission. Supply the best and get vaporizers at the best wholesale prices online. Also need wholesale desktop vaporizers? Glass Nation’s got you covered on that too. Furthermore, you can buy premium wholesale vaporizers like the Volcano vaporizer wholesale at Glass Nation as well as other more affordable products for your customers. It is really mind boggling how many different smoking accessories are on the market. Luckily trained experts from Glass Nation diligently keep up on the market. We always have out finger on the pulse of the industries newest movers and shakers. Don’t ever get caught behind the ball when a customer comes in and asks for a new product you haven’t heard of. Be the definitive source of new and innovative products for your local market by utilizing all of Glass Nation’s educational and informative resources to help you run your smoke shop or glass art store as efficiently as possible. We have everything from wholesale scales, to wholesale rolling papers, to wholesale detox solutions. Give your local customers everything they need to succeed. The highest selection of products is what will set you apart from your competition. Glass Nation has an amazing, easy to search database of some of the nicest wholesale functional glass art online. You will absolutely not be disappointed by the selection or the quality of our wholesale functional glass art selection. There are so many new and upcoming artists available now days. Every three months there is a hot new artist on the scene. They are all the rage on Instagram and other social media platforms. It is difficult to keep up with everything and run your business. Let us help keep you informed about new functional glass artists and their innovative new glass art designs. We have some of the best artists in the industry available. Wholesale silicone bongs, silicone rigs, and silicone pipes are a great product to carry in your smoke shop because of their attractive price point as well their colorful nature. Silicone looks cool, is extremely durable, and is also affordable to the retail customer. It is the perfect addition to any smoke shop or adult service store who sells smoking supplies. Impress your customers with a huge range of silicone smoking supplies from all the best brands in the space. There is a huge ever increasing landscape for wholesale silicone bongs & wholesale silicone pipes. Glass Nation keeps up on all the new designs and brands for silicone bongs and silicone pipes. Always have the nicest, newest and most innovative brands at your fingertips. We have owned smoke shops and physical glass shops ourselves. Glass Nation understand the challenges and unique opportunities of running a smoke shop. There is no doubt that we can help supply your store with our professionally curated selection of wholesale silicone bongs & silicone pipes. Glass Nation understands having a high quality wholesale quartz banger supplier is of huge importance. We know that keeping high quality quartz bangers in stock is super tough. Glass Nation has the best prices on some of the best quality quartz bangers as well as super affordable wholesale quartz bangers. Having a product at just one price point is a trap that a lot of store owners fall into. Having a wide range of affordable and high end products are essential to keeping a business running at full steam ahead. Also Quartz bangers are one of the best smoking products to sell because they break, get dirty, and become unusable. The larger selection of products you have available for customers the more you will be able to sell. Wholesale Rigs Wholesale rigs are a staple of any smoke shop. Glass art connoisseurs demand not just quality rigs. Additionally, we also have a wide selection and large variety of glass rigs at an affordable price. Glass Nation carries some of the best wholesale banger hangers, wholesale marble spinner rigs, wholesale mini rigs, andwholesale nectar collectors. Some people want small rigs, and others really want rigs with recyclers and that utilize other methods of filtration. Some customers really appreciate purchasing glass art made by local glass artist. Furthermore, that is why Glass Nation carries a respectable selection of glass art by local artists and not just production pieces. On Glass Nation you can even sell your own glass art inventory. Sign-up to buy wholesale glass art and wholesale smoking supplies for your head shop or smoke shop. Let Glass Nation help you curate a wonderful selection of glass art pipes and glass bongs.